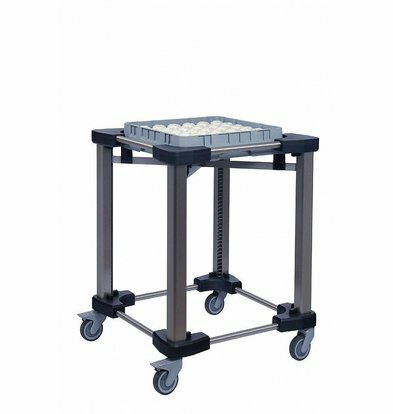 Not to imagine the intense catering kitchen today and always in operation, these baskets handling of Mobile Containing XXLhoreca provides a simple and luxury cased (and heated) implementation. This handy mobile units are built on a solid frame and have very modern feather technique that ensures the long life of the equipment outstanding. Perhaps the suspension is still the main technical part of this handling. 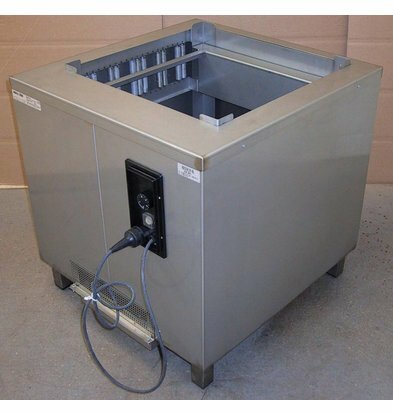 Our heated basket dispenser of Mobile Containing has a long list of useful features and technology. This high-end basket dispenser features a ventilator that breathes hot air unit. The temperature can be adjusted up to 120˚ and the entire stack unit includes a whopping 16 running smoothly guide rollers. however, the basket dispenser is on solid legs and thus get a permanent place in your kitchen. XXLhoreca when you order these Mobile Containing basket dispenser includes 17% discount and the maximum vendor warranty!